You won’t be able to resist these tender little cakes. If we do eat with our eyes first, then I must gain 10 pounds every time I lay eyes upon Erin Scott’s luminous food photos. 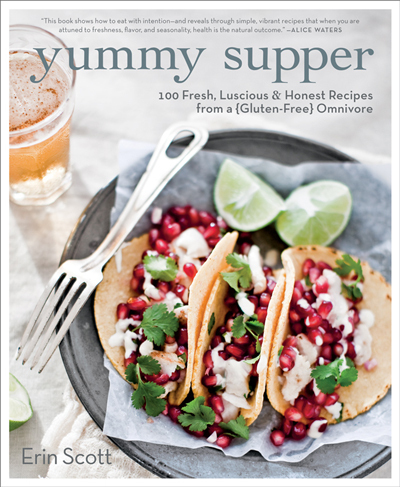 The creator of the blog, Yummy Supper, serves even up more temptation now with her similarly named new cookbook, “Yummy Supper” (Rodale), of which I received a review copy. Scott of Berkeley, who as a teenager grew up a stone’s throw from Chez Panisse, describes herself as a “gluten-free omnivore.” She may have celiac disease, but she doesn’t let that define her or limit her ability to enjoy delicious food. 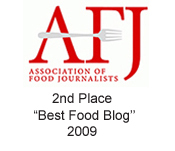 In fact, all it takes is a cursory look at her blog or cookbook of 100 recipes to see that. 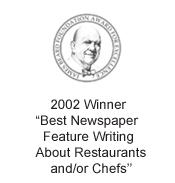 Both are filled with vibrant, seasonal dishes that carry a fresh California sensibility and aren’t too fussy. 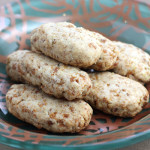 That’s what drew me to the recipe for “Brown Butter Almond Tea Cakes.” Well, that and the fact that I love anything with almonds. Or in this case: almond flour. 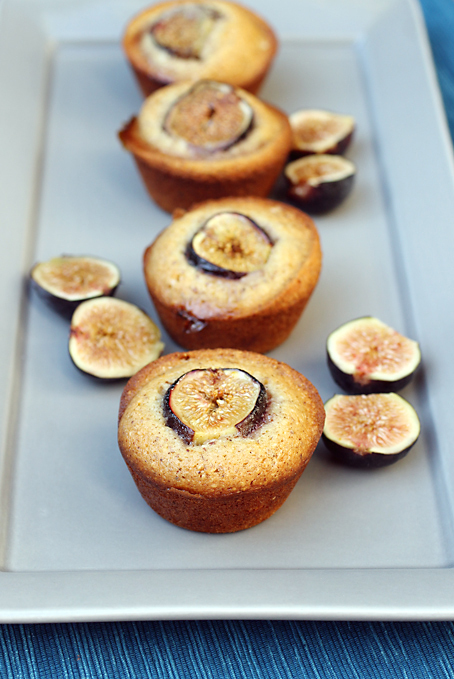 These muffin-shaped little cakes also known as friands are heady with almond flavor and aroma. They bake up moist and tender with an irresistible chewy exterior. The browned butter adds a complimentary nuttiness. And orange zest gives a bright zing. In the book, Scott plops a thin slice of nectarine on each one, which gives each a pretty crowning touch. But as she notes, you can use any fruit you like, which makes this a perfect treat any time of year. I used fresh Mission figs, with a half placed in the center of each cake. You could even skip the fruit all together and just sprinkle on some sliced or slivered almonds instead, too. 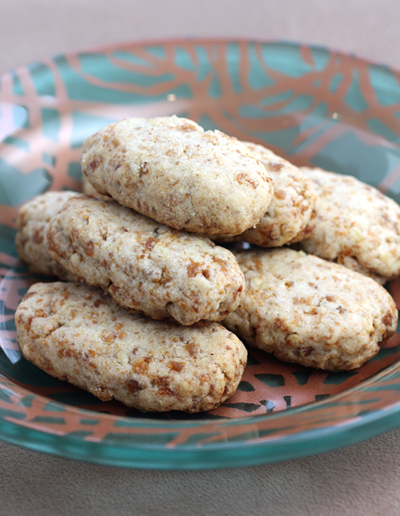 Almond flour is naturally gluten-free. The recipe also uses some all-purpose flour, but you can substitute your favorite gluten-flour for that, as Scott suggests. Pamela’s Gluten-Free Bread Mix and Pamela’s Gluten-Free Pancake Mix are her staple blends to use when baking. Whether gluten-free or not, you won’t be able to resist these buttery, financier-like cakes. Not once you spy them all golden brown straight from your oven. First, make your brown butter by melting the butter over medium-low heat on the stove top. (I suggest using a light-colored saucepan so you can monitor the changing color of your butter.) The butter will bubble, start to smell nice and nutty, and then darken to a golden brown. Remove from the heat and let cool to room temp. You can strain out any funky dark bits and solids, if you choose. Grease a 12-cup muffin pan and set it aside. Sift the almond meal, flour, sugar, baking powder, and salt into a large bowl. Stir. In another bowl, use a hand whisk or fork to whisk the egg whites briefly, just until full and frothy. Fold the egg whites into the dry ingredients. Finally, stir in the brown butter, almond extract, and orange zest. Gently slide a knife around the edge of each friand, then lift it out of the pan to cool on a rack. I love this book and Erin’s fabulous blog! Your little cakes look divine. Oh wow, we are on the same wave length! I recently baked something with almond flour (and it didn’t really turn out all the great), but had to buy almond flour and had a whole bunch leftover. I was going to email you about any good recipe utilizing almond flour, and you post this! 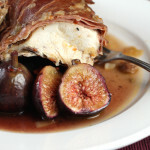 I’m definitely going to make this soon, and I love your twist with the figs. Perfect for the coming fall! Carolyn! 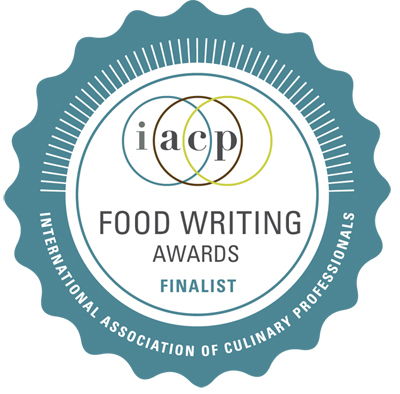 I’m so honored to see you cooking my friands in your kitchen! 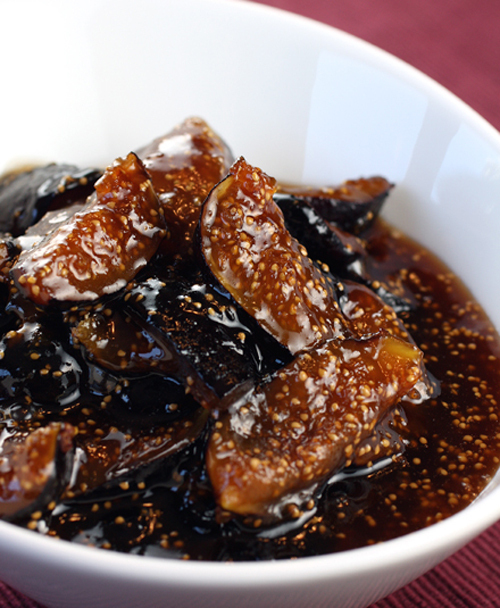 And topping them with figs is a brilliant call – almond and fig… so good together. Love baking with almond flour. It adds such great texture to any cake batter. I love baking with almond flour and it is also very French; for example, these are very like French “financiers” tea cakes which I love making and eating. These are gorgeous! 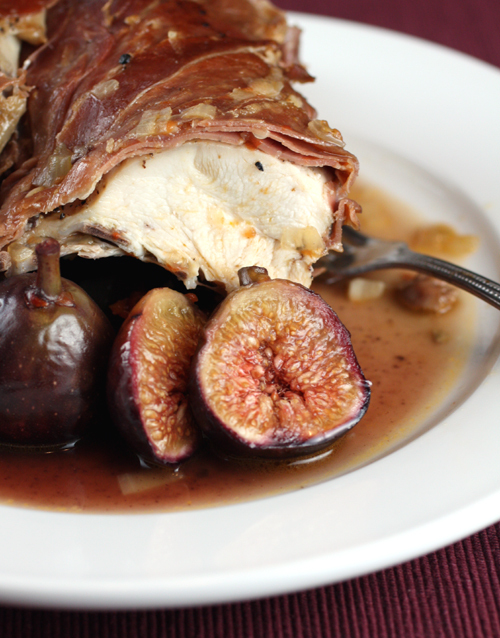 figs are so beautiful–they deliver a show-stopping presentation, especially in something like this! 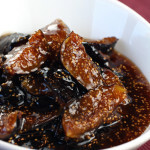 Incredible recipe for using figs! Beautiful and delicious.